EP Turkey Rapporteur Kati Piri presented a draft report with respect to Turkey’s EU accession talks on 14 November 2018 and officially asked for a suspension of Turkey’s negotiations. At the same time, Germany’s Health Minister Jens Spahn also expressed the same opinion. A week ago, European Commissioner for Neighbourhood Policy and Enlargement Negotiations Johannes Hahn indicated the following: “It is not realistic that Turkey would join the EU in the foreseeable future. 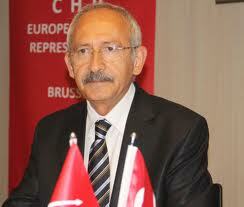 It would be more honest for Turkey and the EU to enter new pathways and to end accession talks”. As it is known by the public, the basis for calling for an end of Turkey’s EU accession talks is the idea that “Turkey is no longer abiding by the Copenhagen criteria”. In that regard, we should underline the fact that the report also adheres by this position. In last year’s report on Turkey, the European Parliament had asked for formal suspension of Turkey’s EU accession talks in the event that the constitutional changes would be implemented in its present form. Indeed, the EP took also the view of the Council of Europe’s European Commission for Democracy through Law (also known as the Venice Commission) which was explaining that the proposed constitutional changes were not in compliance with the principle of separation of powers and were in violation of the Copenhagen criteria. As we had also warned numerous times, this atypical quest for a presidential regime would continue to isolate Turkey in both Europe and the Middle East. This is our open call: The Copenhagen criteria must be reinstituted. Turkey was founded as a modern and democratic state which respects the rule of law and for the past 16 years, it has rapidly drifted apart from its founding principles. Issues such as the politicisation of the judiciary, the end of freedom of speech and media, increase in executive control over the legislative and judiciary branches which are all consequences of the personal regime should be tackled. We should work to find long lasting solutions to continuing human rights violations in our country. However, regardless of our warnings, we see that the government is shutting its eyes and closing its ears and is overlooking our efficient opposition within the Turkish Grand National Assembly nor these reports. There is no government in Turkey to take over the necessary democratic steps. Even though they are pursuing press releases and communiques saying that the perspective of accession to the EU continues, under the present circumstances, it is nothing but a farce that EU negotiations can continue. Turkey should also let the EU side understand and accept that it won’t leave its legitimate demands in Cyprus. It is of utmost importance that relations continue in that respect. Finally, regarding Syrian refugees, the call to EU Member States to fulfil their obligations is quite significant. As for Turkey, it should stop the approach of ignoring fundamental human rights of Syrians who have fled to our country within the context of Turkey-EU relations. At a time when all opposition voices are being repressed, ending accession talks with the EU would further drift apart Turkey from democracy, human rights and universal legal values. As such, the EP should review its pressure upon Turkey and its call to end accession talks. The Republic of Turkey is not and should not be a Republic of a Single Man.